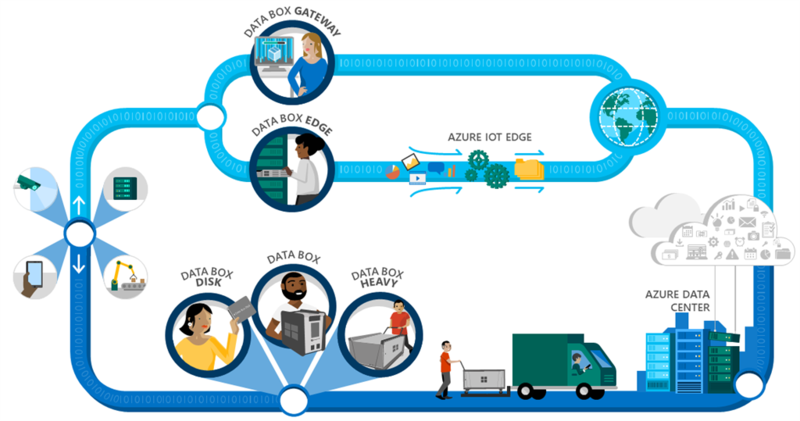 Recently, Microsoft has announced the general availability of Azure Data Box Disk, an SSD-based solution for offline data transfer to Azure. Microsoft has announced the general availability of Azure Data Box Disk, which is an SSD-based solution for offline data transfer to Azure. The company also announced the public preview for Blob Storage on Azure Data Box. Azure Data Box Disk allows the users to import their data into Azure using portable solid-state disks. The company offers these solid-state disks in 8 TB (7 TB usable capacity) up to a maximum of five disks – providing a maximum of 35 TB a customer can transfer. Data Box Disk is now available in the US, EU, Canada, and Australia, and the company says that more countries/regions will be added over time. The company claims these disks copy data with up to USB 3.1 speed and support the SATA II and III interfaces. To provide security, these disks are encrypted using 128-bit AES encryption and you can lock them with your custom passkeys. Once the data upload to Azure is complete, the disks are wiped clean as per NIST 800 88-r1 standards. Moreover, with the Blob Storage on Azure Data Box, Microsoft has brought a feature for users to transfer data from blob storage to a Data Box, using the blob service REST APIs. This will enable customers to use a blob storage capability from Azure on a transfer appliance.